SAKERNA was initially a collaborative magazine and film project that was realised between 2002 and 2004 in Stockholm, Sweden. 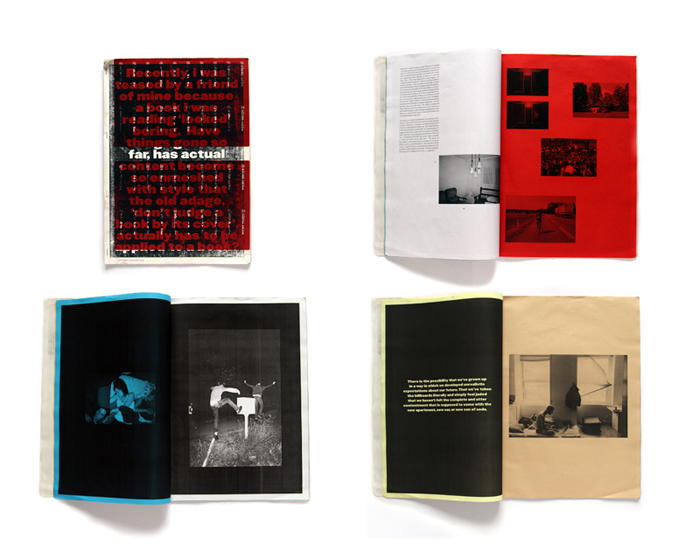 The project resulted in two magazines – Saken #1 and Saken #2 – and two films – The Second City and Been Here Too Long. Two of the initiators of the project, artist Emanuel Almborg and theorist Jeff Kinkle, have since then continued to work together in different genres and mediums. Their work has resulted in exhibitions, lectures and books, and they are currently collaborating on the publishing venture Andperseand with the design studio Konst & Teknik. Although the SAKERNA project officially ended in 2004, the final part of the original idea was never realised. Kinkle and Almborg are planning to take up the project again and revisit the ideas behind it in order to complete Saken #3 in 2012, ten years after the project began.